These fresh water pearls are in a blush mink colour. 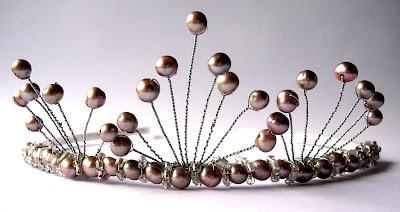 They are tiered to produce a tiara that has a delicate height to it. That's very pretty, and the colour is appealing but different.